Modern women not only take care of their figures but follow the fashion trends that help them create unique and stylish outfits for all occasions. It goes without saying that when choosing clothes, you need to take into account the peculiarities of your body. The clothing items you choose should emphasize the merits of your body and conceal its defects. Times flies quickly and fashion keeps changing and surprising us. Many wardrobe items and accessories that were trendy last season may now be out of fashion. If you don't want to look awkward among fashionistas, you should know the latest trends of the season. Some people still believe that pleated skirts give elegance to a woman's image. These flying fabrics and folds may be adored by young girls, but they have no place in the wardrobe of a self-confident woman, who should give preference to strict patterns and choose pencil skirts. 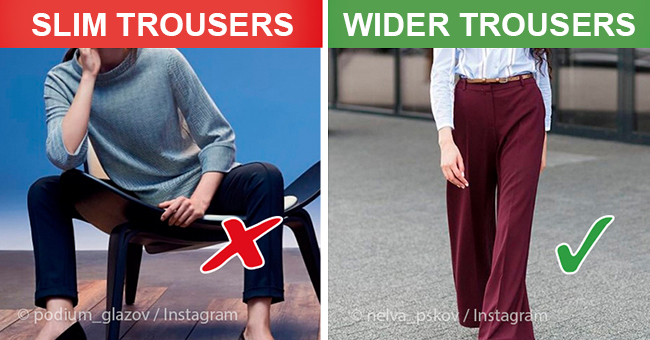 Not so long ago, girls emphasized their slender legs by wearing tight trousers. Multiple variations of slim trousers remained at the peak of popularity for quite a long time. At the present moment, stylish girls and women prefer wider trousers that create more elegant silhouettes. Bandage dresses that were once popular were designed to alter a woman's figure with the help of various hard inserts. Later, they gave way to more gentle silhouettes. 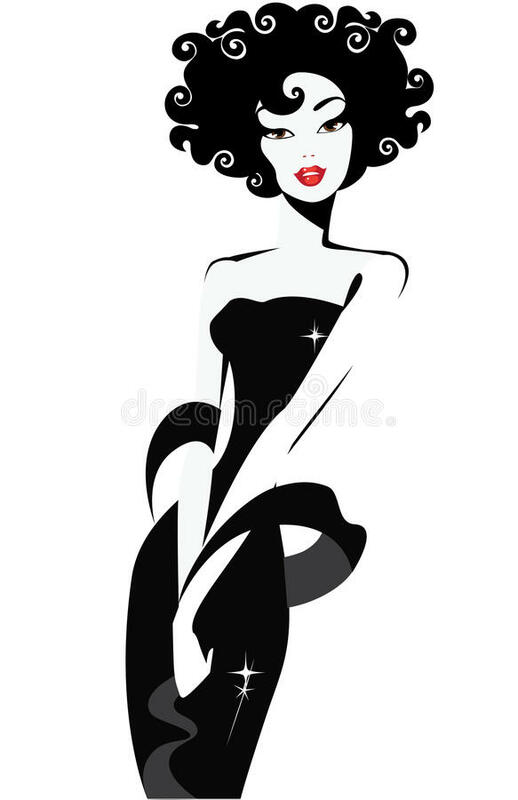 A big designer logo is always welcome in the design of modern clothes! Of course, boyfriend jeans were quite comfortable but they do not fit all body types. Besides, they are not in trend anymore! This season, boyfriend jeans have been replaced by classic designs in calm blue shades. Large metal accessories were at the peak of their popularity for quite long and we can't deny that they look beautiful and solid. However, they have been replaced by plastic accessories that are brighter and lighter. Not so long ago, comfortable denim leggings were considered appropriate for almost any occasion. Today leggings are more of a utilitarian wardrobe item, though they are still a good choice when you need to run to the nearest store for bread. If you want to make your casual look more trendy, you should give preference to structured accessories: for example, earrings. Various wreaths, of course, could be used as spring accessories. But, alas, they are no longer fashionable. The best choice for this season is the beret, which provides you with a romantic and strict image. Comfortable but somewhat coarse models of shoes with a sole that combines the platform and the heel are out of fashion too. You can create your perfect street style by choosing blouses and sweaters with an unusual cut. There is a category of clothes and footwear that is characterized by simplicity and convenience. For example, flip-flops. Is there anything more simple than getting a pair of nice flip-flops. Moreover, modern designers offer a wide range of simple models, as well as ones with various decorations. Why is this cheap and comfortable footwear not trendy anymore?! Who knows! "Multilayeredness" will be dominant throughout the spring and summer seasons. Dresses decorated with guipure definitely look very feminine and can even be solemn. Nevertheless, if you want to make your image a bit airy and light, you should give preference to transparent socks. Not very long ago, clothes stores offered a wide variety of wardrobe items decorated with metal elements. Metal elements, just like low-waist trousers, are now an anti-trend too. If you are a lover of buckles, they will look much better on your footwear! There was a time when many designers introduced sporty elements into classic outfits. Every fashionista had this kind of style in her wardrobe: for example, striped trousers. Today floaty tulle fabrics are perhaps the best choice. Just like fur vests that were once so popular, ugg boots have become less and less trendy. Most men believe that ugg boots make a woman's image heavy and less attractive. However, lovers of modern chic have a good alternative: namely denim clothes decorated with elegant fur elements. Good looking practical handbags made of faux leather will perhaps always be popular. But this does not apply to backpacks. Don't hurry to exclude this item from your wardrobe, though, since they will probably be popular again one day. Moreover, you can combine faux leather items in an outfit, or use separately. If you want to look out of fashion, then use several accessories of the same color. If you have a favorite combination of accessories of the same color, you can easily fix this problem if you add a fur insert to one of your accessories. Nevertheless, when choosing accessories to complete your image, you'd shouldn't follow the principle of monochromity. Fashion is changeable and cyclical, just like our tastes. If some of your wardrobe items are no longer trendy, don't hurry to get rid of them. Most probably, they will become popular again at some point. After all, the world's designers never cease to surprise us with original and unusual trend combinations.